My grocery budget has been a little tight since giving birth nearly 8 months ago. A perfect storm of emotional chaos had been brewing and picked up speed for our little family mere weeks before giving birth to my sweet, not-so-little baby. My family of origin went through a divorce, mental dysfunction, and stressed familial relationships. My body went through a rollercoaster labor and a surprise C-section (partnered with surprise medical costs). Added to the mix were the inherent adjustments that accompany the addition of a little person; I had a lot of excuses to run desperately into the arms of comfort food. Ahh... comfort foods. I think most of us have had our moments. This time around, it was chocolate pudding for me. Swiss Miss Chocolate Vanilla Swirl pudding. The kids are crying non-stop? Chocolate pudding, take me away. The baby is sick and wants to be held all day? Chocolate pudding, come to mama. Having trouble coming up with a lesson idea? Chocolate pudding. I had recently added a traveling spouse and the winter doldrums to my list of "Comfort Foods Excuses." This week though, I noticed I had turned to comfort foods daily. Daily! Do you know what happens when I eat comfort foods each day? My clothes become un-comfort-able. My body becomes un-comfort-able. The grocery budget becomes un-comfort-able. Unable to be of comfort. Huh- those foods hadn't brought comfort after all; I should have called them pacifiers. 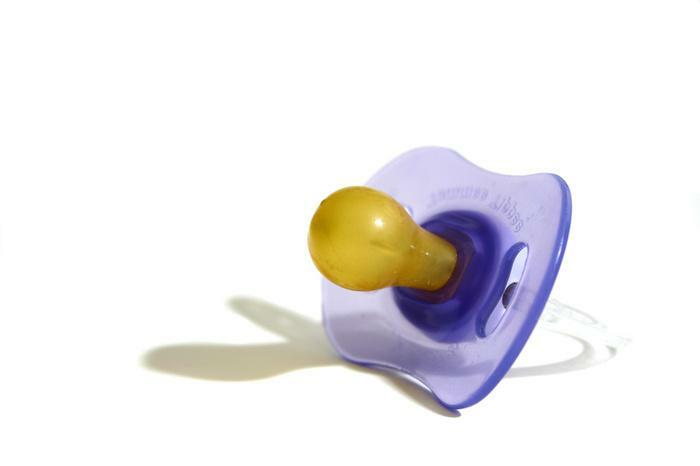 They pacified me for a moment, until the binky fell out or wore out and needed replacing. Two nights ago, I woke up at 3 a.m. thinking and praying about the control I had given away earlier this year; I admitted to God and myself about how shackled I had become by this pacifying-by-food habit. And the thought came to me that I kept going to foods for comfort instead of going to the Lord for the Comforter. Yes, sometimes, I would like to enjoy a slice of pumpkin pie for dessert. But most of the time, I just want comfort. So, here's the deal: When I am feeling frazzled, or nervous, or angry, I will partake first of his comfort, praying for peace to wash over me. Isn't that what I truly want in my moments of chaos? In the beginning, I might still desire some delicious confection after my prayer, but I have faith, and His promise, as I continue this needed supplication, my body and my spirit will begin to be full and truly satiated. And as a side benefit, I will stop spending so much money on pacifiers.